Watermelon slicers, lemon squeezers, and chip clips are just some kitchen gadgets that make life in the kitchen a little simpler. YouTuber CrazyRussianHacker reviews 10 popular kitchen gadgets and puts them to the test. If you love kitchen gadgets, don’t miss these 35 incredibly cool kitchen gadgets as well! Do these kitchen gadgets pass the test? 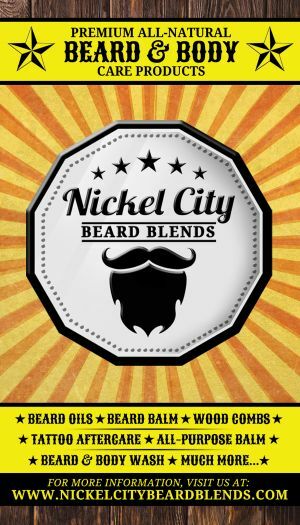 If you enjoyed a specific kitchen gadget reviewed in the video and want to get more information, here is a rundown of all 10 kitchen gadgets. This watermelon cutter is perfect and made of the finest stainless steel. 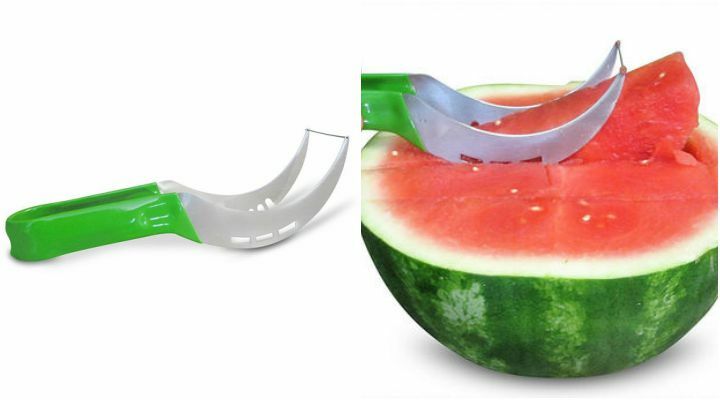 With a unique design that features rubber grips and finger indents, this watermelon slicer makes slicing watermelon a breeze. Slice, extract and serve perfectly sliced pieces of juicy watermelon every single time. Get it on Amazon. 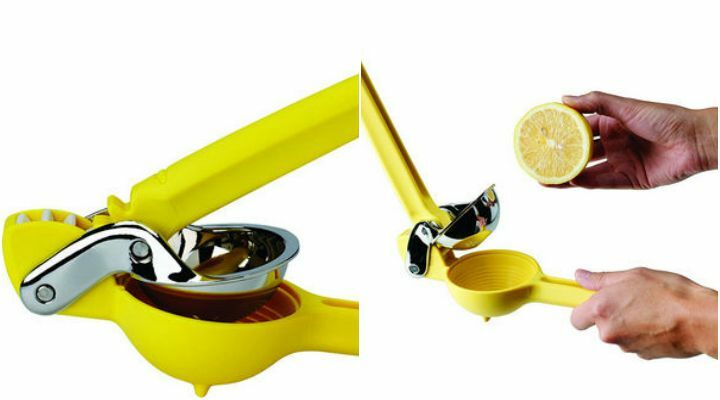 Get fresh citrus juice with this incredible manual citrus juicer. In fact, you can get up to 20% more juice with this brightly colored citrus juicer by Chef’n because of its innovative dual-gear mechanism. It helps produce more pressing power without putting extra fatigue on your hands. Get it on Amazon. 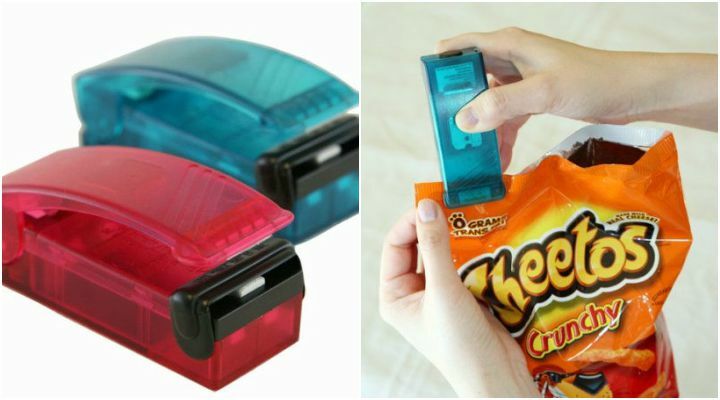 Never worry about wasting food again with these plastic bag sealer clips. It will help your food stay fresh and healthy longer and prevent air or liquids from ruining your food. Not only does it make great chip clips, you can use them to seal fruit, pantry items, pet food, and so much more. Get it on Amazon. 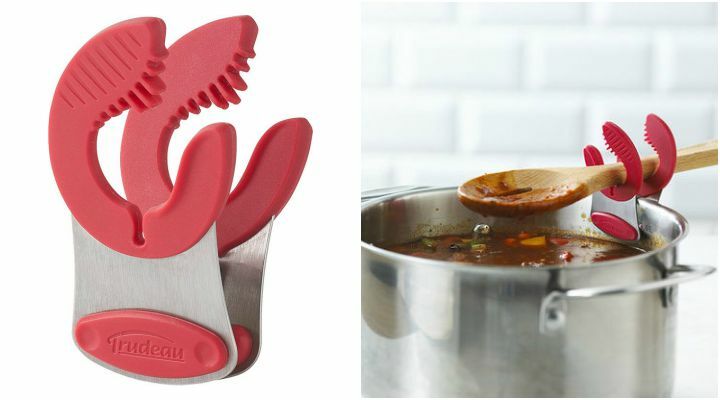 Always have a spot to rest your spoon when cooking with these red flex pot clips from Trudeau. They can hold nearly any size handle and will help keep your countertop clean. It is made from silicone and is heat resistant up to 482°F-250°C. Get it on Amazon. You’ll never need plastic wrap again with CoverBlubber reusable food covers. Made from food-safe sticky rubber, it can stretch to cover pots and food items of various shapes and sizes. 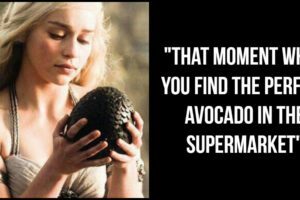 It is designed to keep food fresh in the refrigerator or freezer only. Get it on Amazon. These multipurpose kitchen shears feature five blades and come with a cover and a cleaning comb. 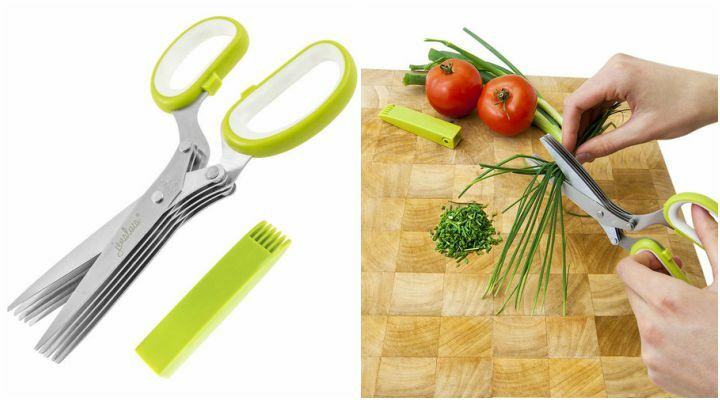 Say goodbye to tedious chopping and cutting by snipping herbs and other items without the hassle of using knives. It is so easy to use and even easier to clean up. Get it on Amazon. 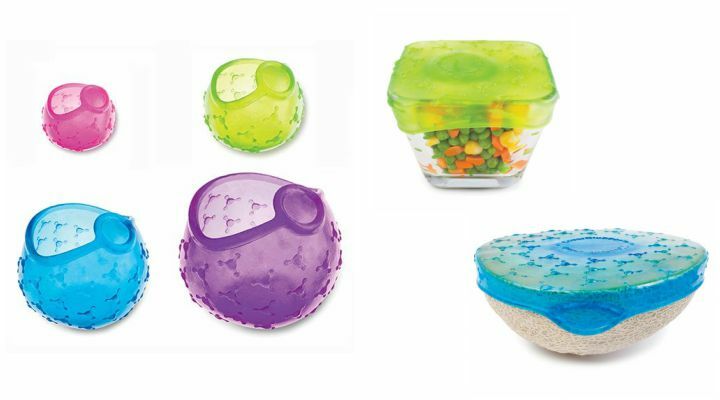 Stop throwing away money on disposable plastic wraps or aluminum foil by using these reusable BPA-free silicone stretch lids that are heat-resistant, dishwasher safe, and microwave and oven safe too! 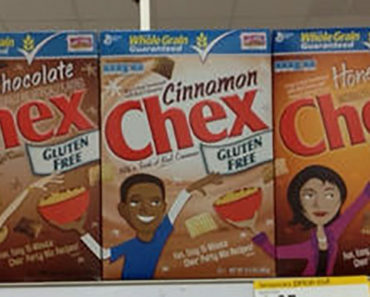 You’ll also never have to search for a lid that fits because they’ll stretch to fit any size container. Get it on Amazon. With a non-slip rubber base and adjustable arms, Jokari’s hands-free storage bag holder is like having a second pair of hands. 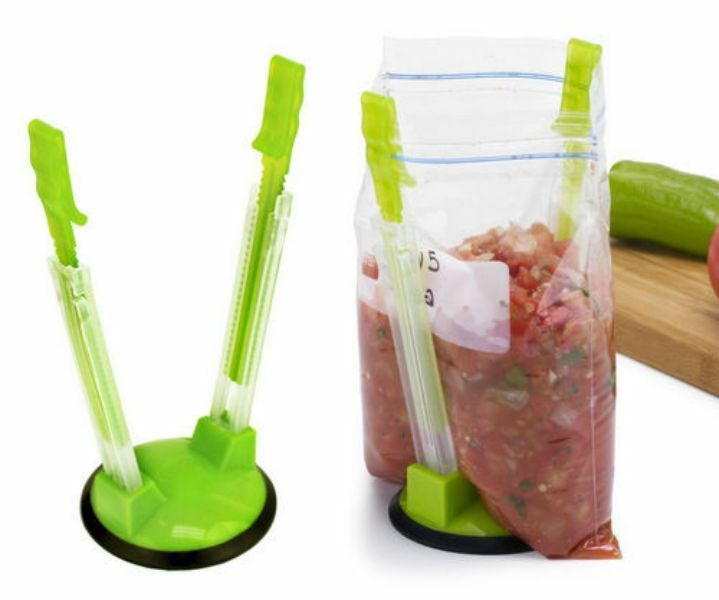 Filling a storage bag without someone helping you is nearly impossible; however, it is possible with this nifty kitchen gadget so use it to easily fill storage bags without making a mess! 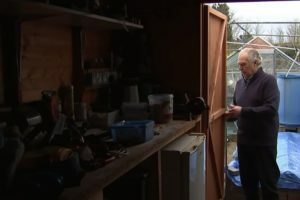 When you’re finished, it easily folds flat for easy storage. Get it on Amazon. 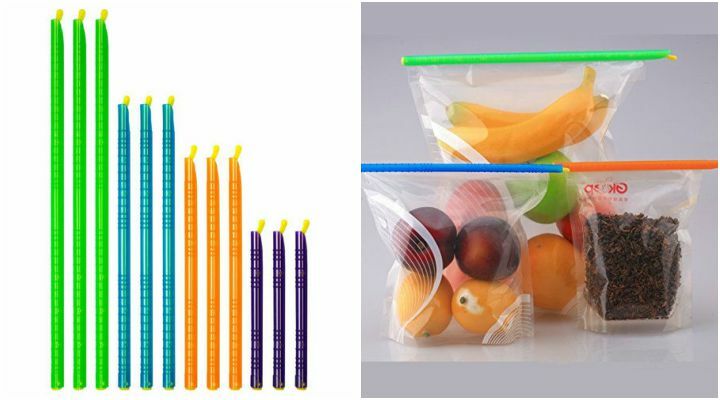 Why use storage bags to store food when you can store it in its original bag by resealing it! This bag re-sealer creates an airtight seal by gently heating plastic bags and creating a seal. Not only do you save on storage bags but you also save by buying food in bulk and simply resealing it after each use. Get it on Amazon. 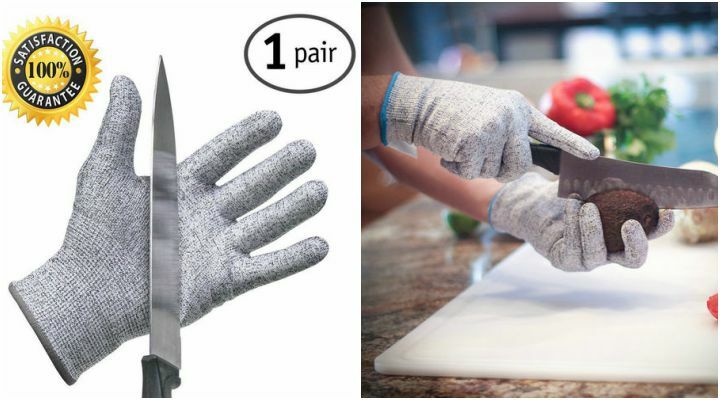 This lightweight, breathable, and comfortable glove will help you cut fruits and vegetable without the worry of accidentally cutting yourself. Chop and cut vegetables, potatoes, meat, poultry, and they are also great for grating cheese. I can’t count the number of times I’ve accidentally scraped my fingers when grating cheese! Food grade polyethylene and proprietary silica-based fibers offer level 5 protection that is four times stronger than leather. Get it on Amazon. Please share these handy kitchen gadgets with your friends and family! 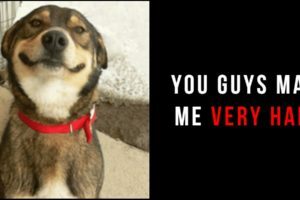 9 Funny Things You Probably Never Noticed Until Today. 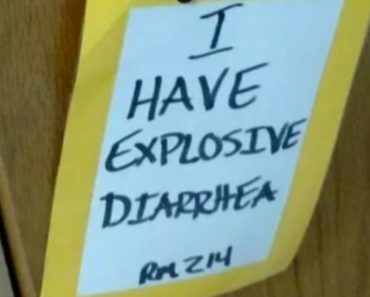 #3 Is Hilarious!